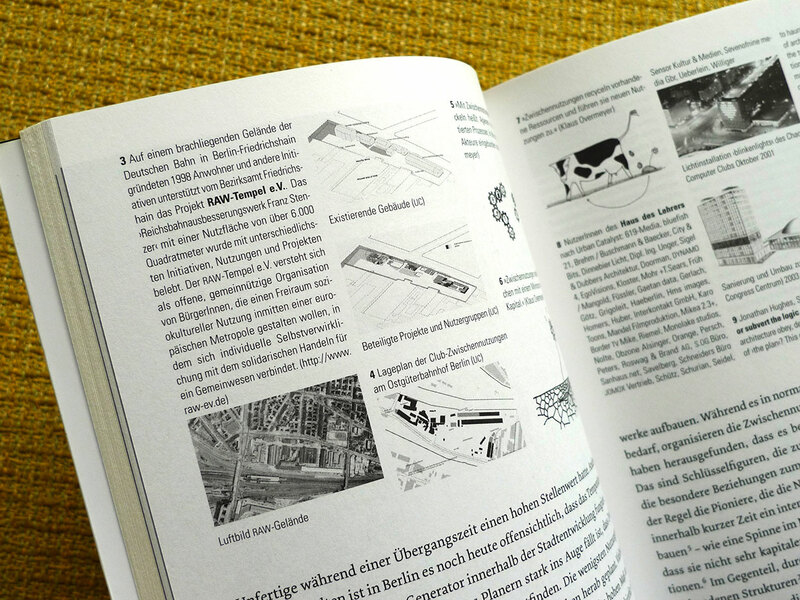 the book is part of the the »metrozones« book series and was edited by jesko fezer and matthias heyden and published by “b_books”. 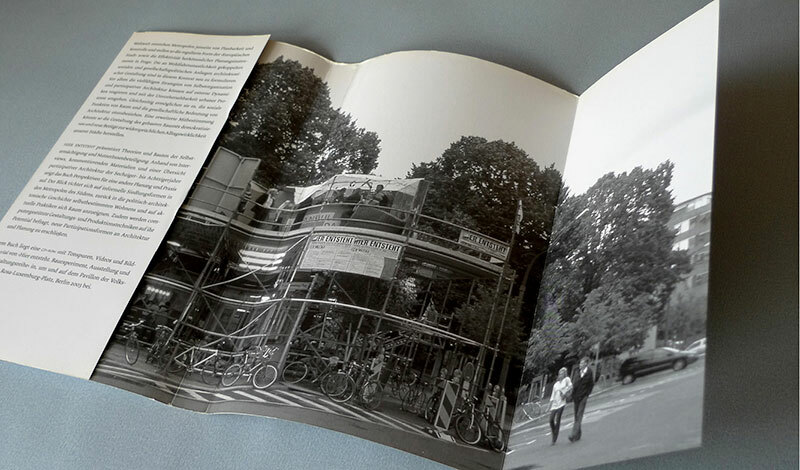 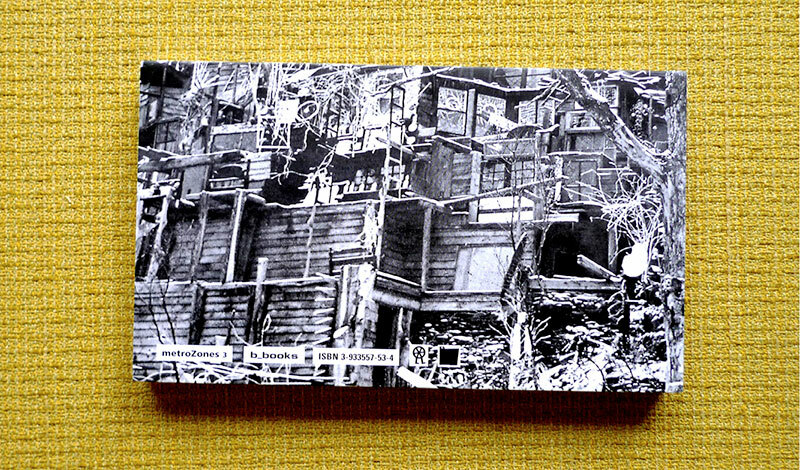 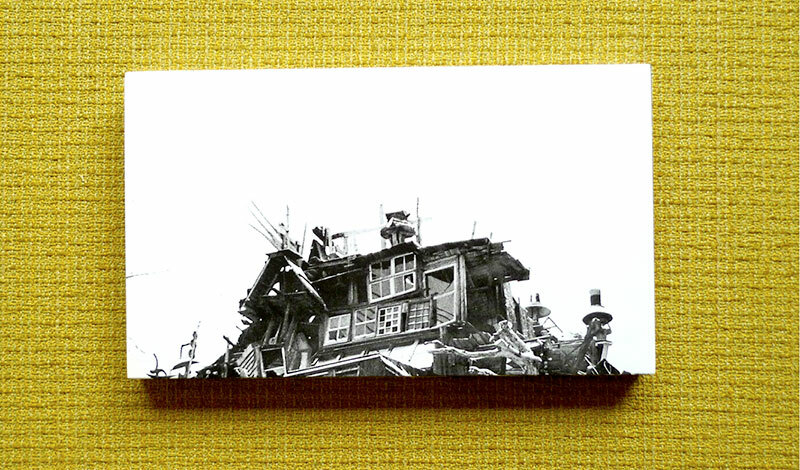 the book deals with questions of participation in architecture. 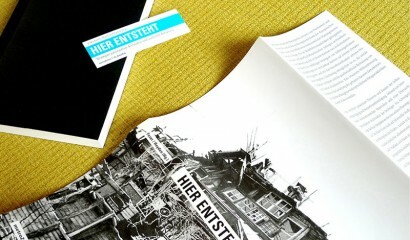 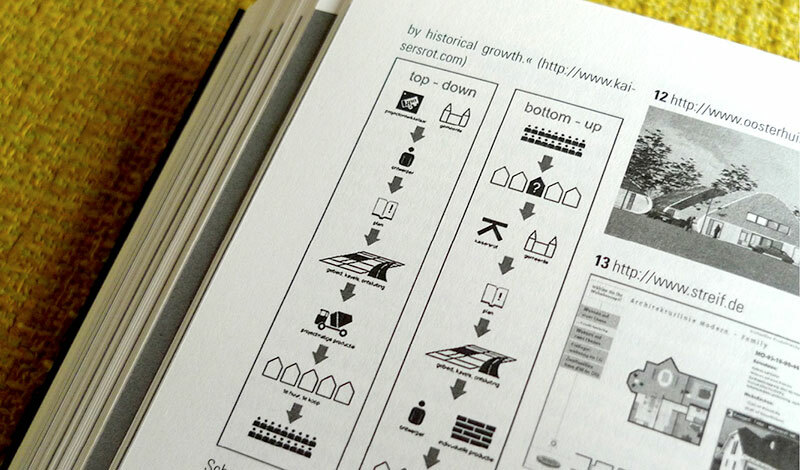 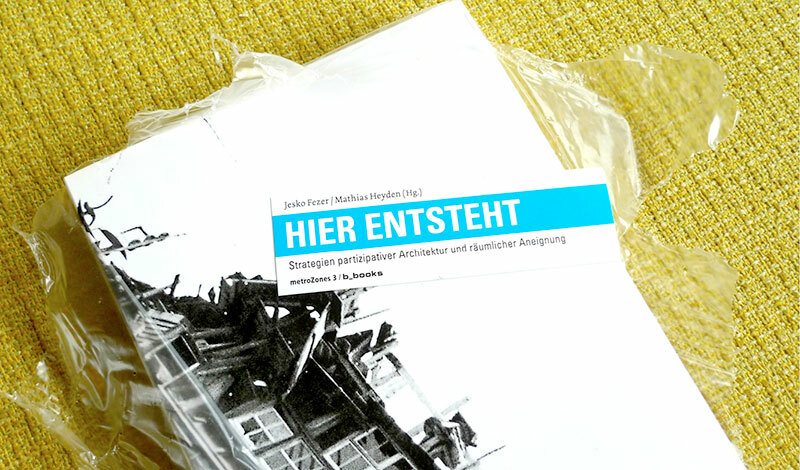 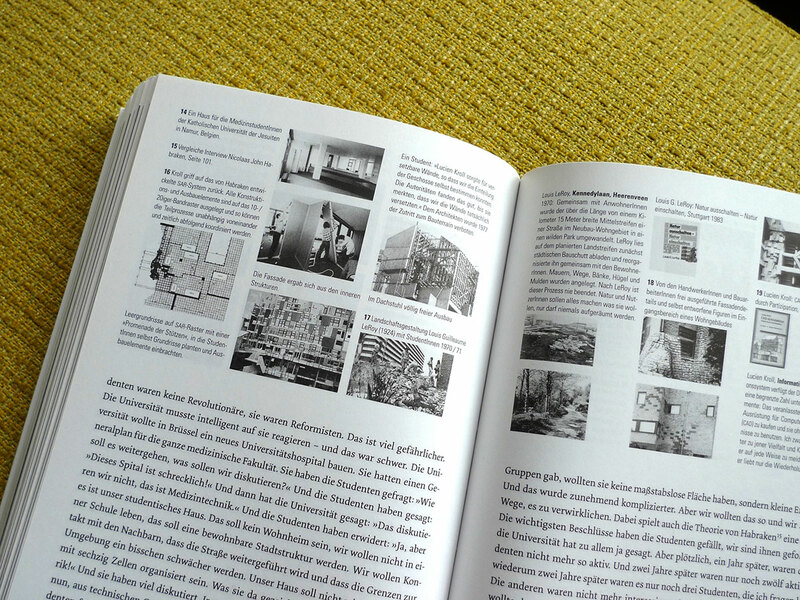 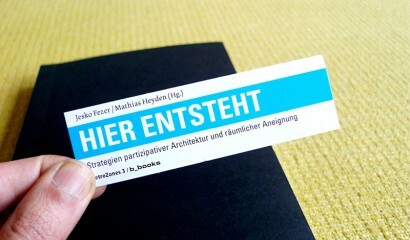 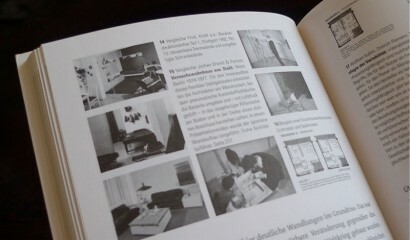 the book itself is divided in 3 parts / 3 kinds of paper: introduction, interview texts and an architecture guide. 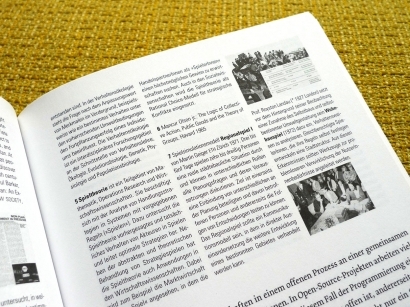 the main part, the interview text section in the book has a complex footnote and comment system which was developed by the editors and myself. 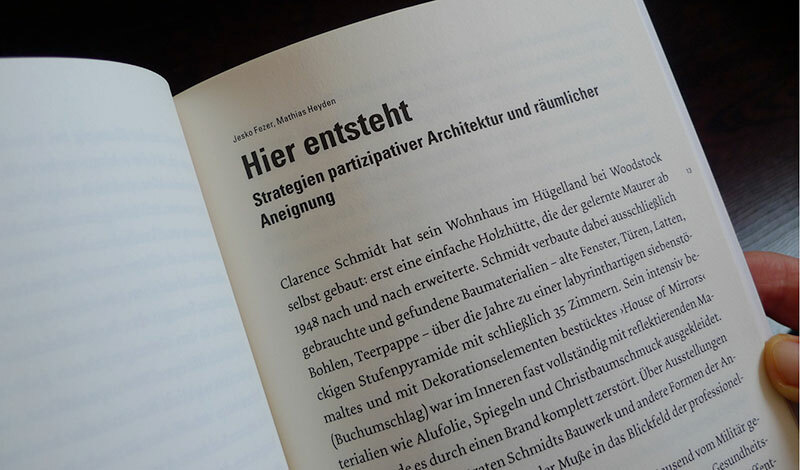 it allows the editors to comment on the interview texts in a highly differentiated way – from classical footnotes, quotes, references to showing book covers and architectural drafts. 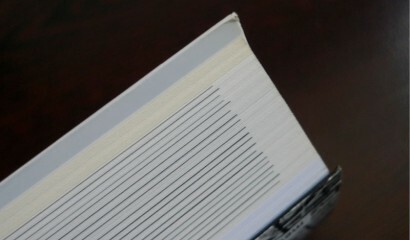 these comment layout boxes run parallel to the main text in the upper part of the pages. 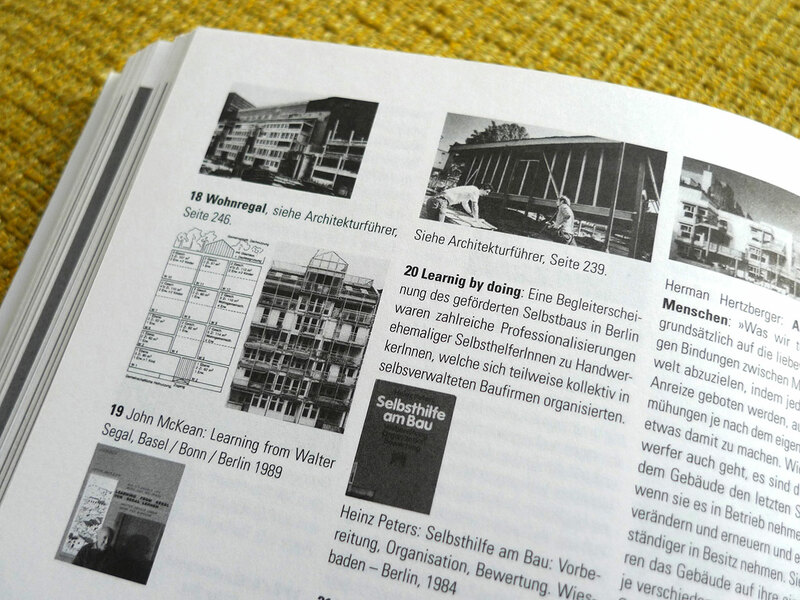 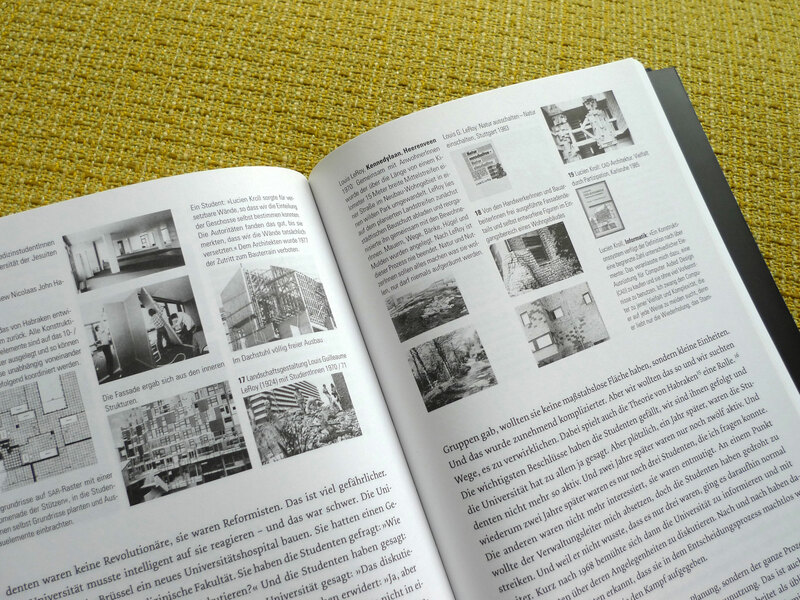 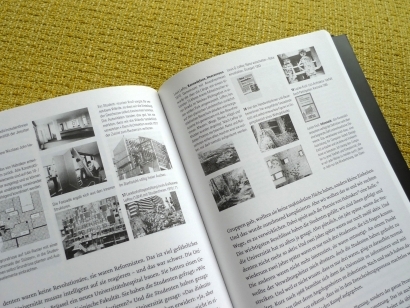 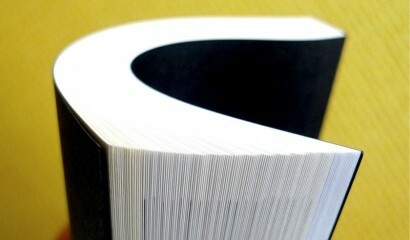 the extremely high format of the book refers to architectural guides. 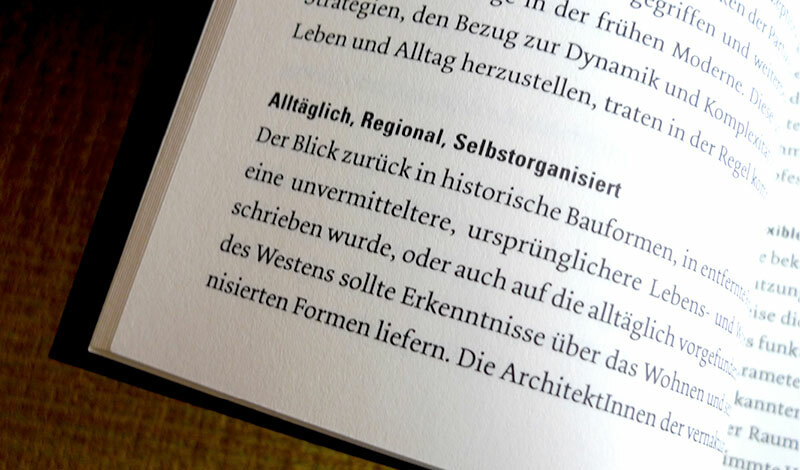 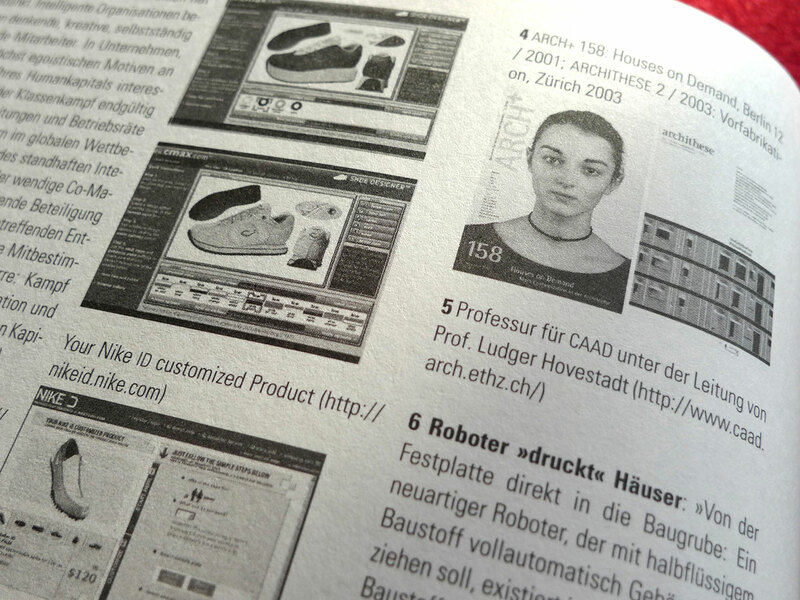 to assure a good usability when opening and holding the book, a OTA binding was chosen (allows the book to open easily and reduces the tension in the book back) the book has received an acknowledgement by the »stiftung buchkunst« for one of the best german book designs.